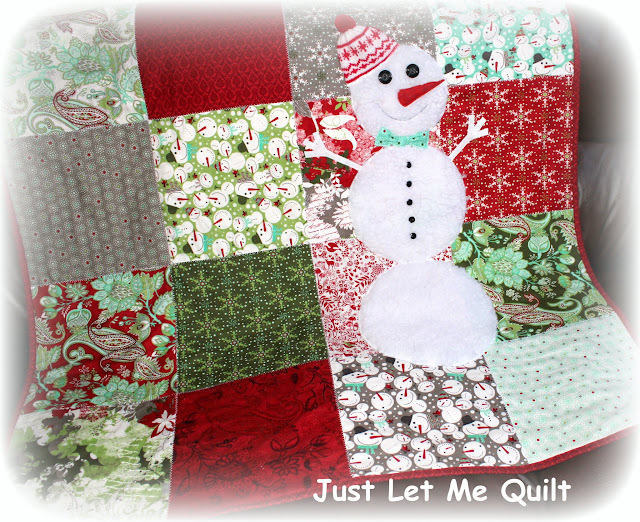 Just Let Me Quilt: Holiday Lane Blog Hop - My Day! or a little Christmas inspiration? allowed for lots of my own creative ideas. Making the flange around the edges was quick, too! The Grinch is one of my favorite parts of Christmas. 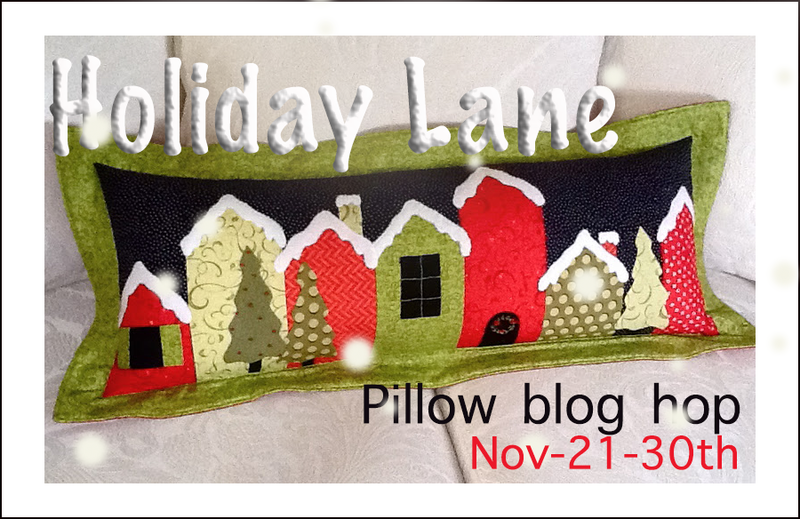 This pillow went perfectly with the two Grinch quilts I sewed earlier this year. What's this? A little Grinch coin purse? I made the pattern a little bigger so my fussy cut piece would fit. Last July, Madame Samm made me a set of bowls as a "Thank You"
which I made into a Christmas card holder. row of houses and lots of fuzzy fabric. "All four of the Monkey Boys could sleep on this!" arrived exactly one week ago today. those sweet grandsons of mine. that matches the pillow and the quilt. It just had to be made. This giveaway ends on November 30th, at 6 p.m. PST. Entries after 6 p.m. PST on November 30th will not be included in the giveaway. Congratulations on your new grandson! I like the soft 'snow' fabric that you used on your pillows. All of your projects look wonderful. The Grinch is my favourite though. Pillows, purses and bears , OH MY. And congratulations on your new familymember. Carol they are all awesome..thanks for sharing so much with us. Love your grinch pillow and coin purse...too cute! These are fun, and so cool that you are still making purses! thanks for the chance to win as well! Oh Wow you have been busy! Congratulations on the new arrival and I love all of your creations - especially the grinch pillow and I like the way you have done a truck with a tree on it on the other pillow. Your pillows are sew funny and I love your purses. You have surely been a very busy woman the last days. oh fabulous I love both your pillows (I've used some 'Grinch' too!) and that white fluffy fabric is great. What a nice version off the Grinch. Oh your pillows are so cute!!!! Awesome pillows and love the idea of a matching quilt. Congratulations on your new grandson. WOW!!! I love your pillows! The Grinch is a fantastic idea!! What wonderful work! I love them all! Pillows, purses, and quilt! How many purses does that make now? Wow Carol!! Wow...such wonderful Christmasy goodness all around. Wow! I love your Grinch inspiration. Thanks so much for sharing your ideas. What wonderful pillows! I love the Grinch one, and that extra fluffy snow on the other one is so cute! You have really set the bar high for this hop. The Grinch pillow so cute! This is the first post that I've gone to for this hop..... you have really done lots of great projects. Love the snow on the rooftops! Thanks so much! Carol, I just love when you participate...because I know you will make fantastic projects! Your grinch projects are too cute....great fussy cutting! And of course your Christmas projects warmed my heart! Love how you made "sets" with your two pillows. You are awesome! And thanks for the chance to win your very generous gift certificate! Love the Grinch! When I used to teach on the last day before Christmas Break, I would wear long green sleeves with fake fur Grinchy Green Cuffs with that very same green gloves. By the end of the day the children were certain I had caught the Grinch in the art closet and that was why I was turning green. OMG Those pillows and purses are just the most adorable things I have seen. What a fun project you have done my dear! Wow, I love your projects! The grinch pillow cracks me up. All are adorable! I wish I could accomplish so much! Can I buy your grinch coin purse. I'm the biggest grinch fan in the world and that is pretty awesome! Love the grinch on your pillow! And your snow! Love you Grinchy take on the Holiday Pillow! And the Grinch coin purse is terrific. You always make the neatest stuff for the hops. Not to mention you make a ton for each one! Wonderful work as usual. I love the fluffy fabric added in. I enjoyed your pillows, purses and your quilt for the "Monkey Boys". Congrats on the new one.Being a Granny is the Best. What a way to start off my day! Totally awesome! Love the Grinch on the pillow and the coin purse. Just want to grab that quilt and cuddle with the fuzzy pillow. Congrats on the new monkey boy! Grandkids are the best. I really enjoyed the Grinch pillow. Thanks for the great giveaway. The "snow" fabric is awesome. I bet the "monkey boys" love it. Thanks for the chance to win. I love the grinch pillow - that is a fabulous creation. Have a great holiday! I love the grinch pillow! I have all of the fabric collected for a grinch quilt, the pillow would be an awesome addition! Thank you for sharing and the chance to win your awesome giveaway! Happy holidays! You really are prolific with all those cute projects. Your grandsons are lucky to have such a talented Grandma. Happy Holidays to you and yours and thanks for a chance at your giveaway. Congratulations! I've traveled a long distance to visit my new grand-niece this week. Being around a tiny baby is so much fun! Wow...you did it again! You made "awesome". Love the pillows...the little truck with the tree on top...nice touch! You are so lucky to have 4 grand babies already! ... I am stillll waiting for that day. I just love what you did with the Ginch pillow...very cute! I need to visit you to 'pet' your pillows--they are just MAGNIFICENT! How adorable, Grinch and all! Congratulations on the fourth grandson! Everything is so lovely - you've been a busy lady. Thanks for sharing. I am a huge grinch fan too! I love your pillow, but that coin purse of the grinch is just way too cute for words. Love your projects. Great use of fabrics! I love the Grinch sneaking around on your pillow. The Grinch purse is wonderful. Maybe if I had a purse like that, I would think twice before opening it and spending my money. Thank you Carol for making your blog such a fun place to visit. Have a delightful Thanksgiving with the Monkey Boys. Love that you matched your coin purses with your pillows! thanks for the giveaway! Love the story of your cute monkey boys. What a blessing to have one more. Thanks for sharing. Love your coordinating projects. Really like the fluffy snow. LOOVE the grinch pillow, don't let him steal christmas!! he looks like he's about to. What fun, fun pillows and pillow accessories. Congratulations on your new grandson. Love how you added the Grinch, and also the fuzzy snow on the roofs! So super cool! Love the pillows especially the Grinch! Very cute with the matching quilts and coin purses! Wow, what gorgeous Christmas sewing and decorations! Happy Thanksgiving! Thanks so much for the chance to win your give away! A new Grandson is certainly a Thanksgiving blessing indeed! Love your pillow, The Grinch makes me chuckle, and teaming it up with a quilt...pure genious. I love tem all but the grinch sneaking away is the best. Squeeee! Love the pillows! Matching purses too- now should I just leave my address for you here or send it to you, so my pillow and mathcing purse don't get lost in the mail? Carol everything is so wonderful. 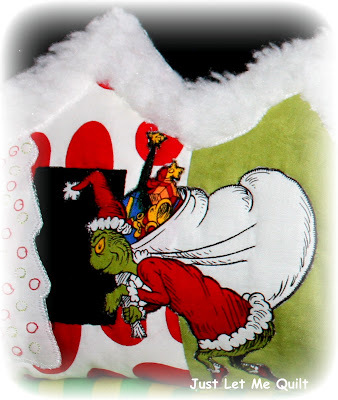 The grinch pillow is great adn the purses and the other pillow and quilt and card holder, all I can say is WOW! What a busy lady you are. On another note. I got those 5-in-1 photographic discs like M. Samm suggested and I can see that your photography looks a lot like hers now with the diffused edges. I tried taking pics using all the colors and the diffuser so I could see if there was a difference. I couldn't see anything different than my normal picture taking. No instructions came with the discs, so not sure where to place them when taking photos. Any tips? The pillows are adorable. Love the fuzzy snow fabric and who doesn't love the Grinch? 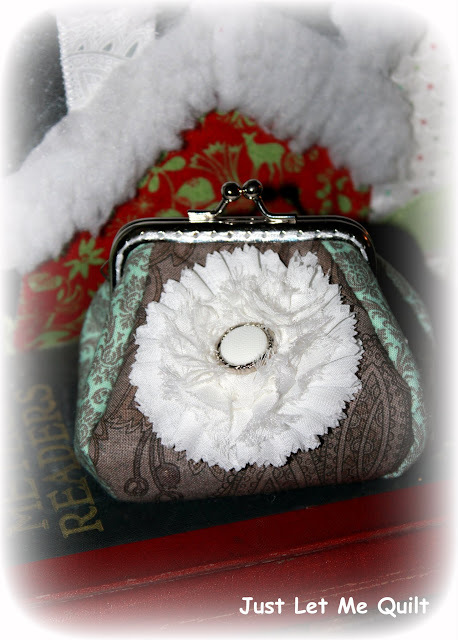 Those new little coin purses are fabulous too. That flower one is so unique. Great work. I love the Grinch, the bright colored pillows and love being a Gandma to ..
With little monkeys in the house for the holidays - the Grinch is perfect! Congratulations on your new grandson, how sweet it must be to have 4 monkey boys! I love your Holiday Lane and again you made such a darling purse! Using the Grinch is so cute!!! What a great spin on the pillow pattern - Love it. And the matching coin purses. Would love to win, thanks for the chance. I like all you did with the pillow, coin purse and blanket. I'll bet the 4 monkeys look cute on the pillow. I love your blog. Thanks for all the work you did for the hop! very nice! Love the grinch in all your work. Wow...you sure have been busy! I love your pillows. Had to laugh at "monkey boys". I'm sure a very appropriate nickname for four little boys, lol. Thank you for joining the hop and sharing your pillows. WOW! What a wonderful use of the pattern. You have done a great job, as always. Thank you so much for sharing. That is such a cute pillow. I love the snow on the roofs of the houses. Your Grinch pillows are adorable. I love the purse, and the bowls with borders card holder is awesome! Great work. Love your pillows. The Grinch one is really cute. I never would have thought to put the while fur on as snow. Thanks for sharing your amazing talents. Congratulations on the new baby. I am having so much fun with my grandkids. Makes you feel young again. A new baby, congrats. Love, love, love your pillows.Coin purses too. The Christmas Grinch line is so cute! Great projects! 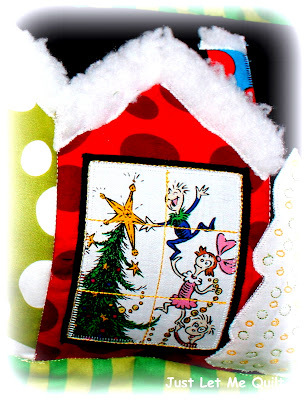 I love how you used the grinch in the houses, so fun and lots of wonderful pieces and creative ways to use fabrics and textiles. Congratulations on the new Grandson, we are expecting our first, this spring. Wow! So many wonderful projects here! Love your fuzzy rooflines! You've been sew busy, thanks for the giveaway. Oh my, I can see this is going to be a great blog hop. Thanks for being part of it and sharing your talent and picture parade. Gorgeous pillows. Super projects. thanks for sharing and for the opportunity on the draw. I LOVE that tree on the roof of that station wagon! Such a great and adaptable pattern! It looks wonderful in both styles! What a great Grinch pillow! Love all your other projects too. Thank you for sharing. I'm so excited, this is my first blog hop and my first stop. If they are all as inspiring as yours I'm in trouble. I love what you did with the bowls, that is a great idea. Your grinchy pillow is super! Oh my! You have been busy creating all sorts of Holiday goodies! I love them all and would sure hate to have to choose between them. Great job with the snow on the roofs! Great Job, love all the fur, they are lovely, Happy Christmas! Congrats on the new grandson and your pillows, coin purses....and everything are so neat! Your Grinch pillow is just too cute! Thanks for sharing and the giveaway! Two pillows! Great job! Love the Grinch pillow...so creative! Lovely items! The Grinch is great. You've been busy! Congrats on the new gbaby, too. 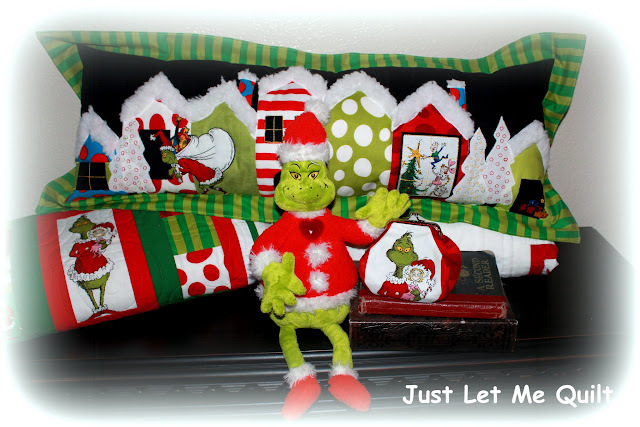 Such beautiful projects, but that Grinch pillow... That Grinch pillow rocks!! lol Love it - what a perfect Christmas pillow! Awesome pillows and quilts! Love it when everything matches! Congrats on the new grandson. Love, love, love your grinch pillow as it brought such a smile to my face:) You really have lovely pillows and coin purses too! Thanks for sharing. 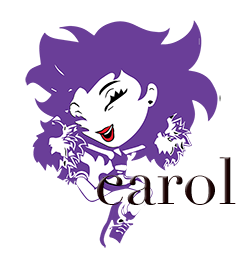 Absolutely wonderful Carol, you had me smiling the whole way through your post! All of your projects are fantastic. I especially like the pillow with the fuzzy fabrics used for snow. This is short (I'm smiling sweetly). Love your projects. Please enter me. Your Grinchy Lane pillow made me smile, I bet my nephews would love something like that. 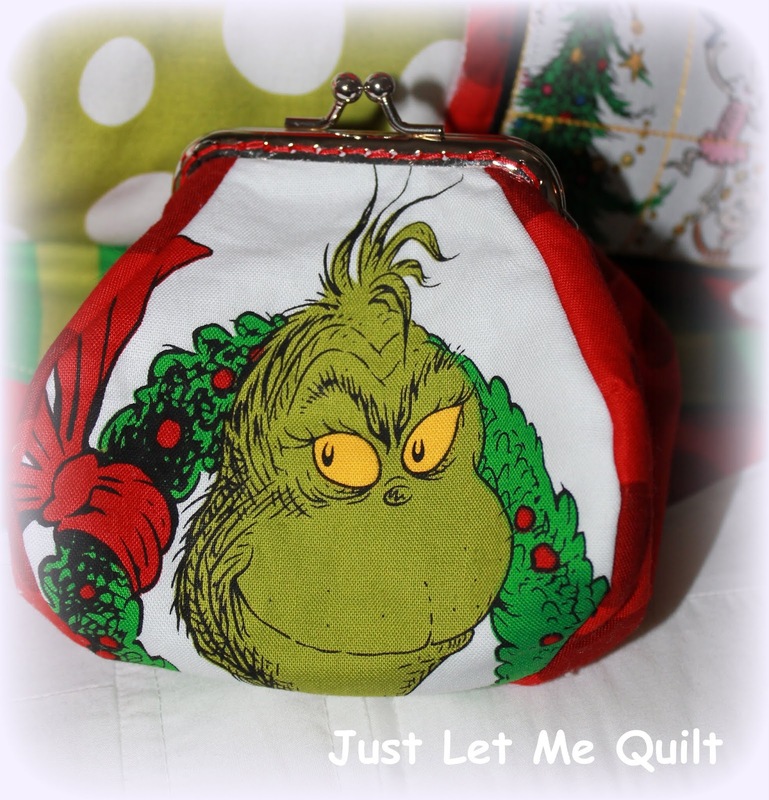 The Grinch is my all time favorite Christmas movie and I love all your creations but the coin purse is my favorite. OMG! You really know how to do it up right! Love the pillows, love how you incorporated the Grinch fabric so effortlessly into not only the quilt, but the pillow and the coin purse...just delightful. The four Monkey boys are sure lucky to have you for a grandmother!!! Oh my goodness! You HAVE been busy! Loving ALL of your makes, the grandkids will love them! Oh, and congrats on adding another one to your brood. Carol -- Just loved your creativity -- especially the Grinch Pillow.. Here's to a wonderful Thanksgiving! Sounds like your Christmas present has already been delivered. Congratulations. 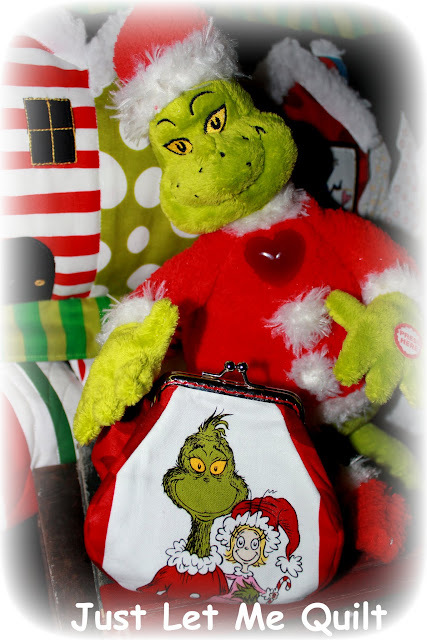 Adore the "Grinch" pillow and coin purse. Absolutely darling. Oh, my goodness! Carol, you made the cutest pillows ever. The second one with tree on the car is such a cute idea. Congrats on your new grandson. Thanks for sharing such fun pillows and coin purses. Congratulations on the new grandson! I especially like your snowman quilt! Thanks for the giveaway! I love all your projects,just fabulous. Grandbabies are so awesome! Congrats! OMG Carol! I just love the special grinchy projects you made...love the little grinchy purse...you are amazingly creative! Must get my grinch fabrics out and get to work making something! Your pillows and purses and monkeys are too cute. The Grinch is "alive and well." Thanks for sharing. Wow! Fuzzy Lane and Grinchy Lane. How cool is that! So absolutely cute! How the Grinch stole Christmas is a necessary watch at xmas. Now you have the pillow! Looks like you got an early Christmas present - a new grandson. How wonderful.You sew so many fun projects. So creative. Love all the grin he's. Loved everything you did,from the pillows to quilt and little purses. I have two little grandsons and they would love them. Oh my....you've done it again, Carol. Raised the bar. Love it. Love the little snowman. He's a real cutie. Love your Grinch pillow. The Grinch is one of my all time favorite. Just love the Grinch pillow. Have a wonderful Thanksgiving! I just love your pillows!! They are just gorgeous!! I love the Grinch pillow! It is too cute! Congrats on the new grandboy! Congrats on being in the top 3 (do you really believe Mdm only made 1? We shall see,,,,) Love, love, love your cushion (& purse & quilt and,and,and,,,).Sorry it's not short & sweet,,,but when your work's that great,,it takes lots of words! I also love all things Grinch! thanks for the giveaway. Wow! Love your pillows, Carol... and the coin purses and the matching quilt. You are amazing! Two pillows and purses--man, you've been busy! Thanks much for the giveaway. That's a niceness on top of niceness. Congratulations on your new grandson. What a wonderful thing to be thankful for. ABsolutely love your Grinchy projects! Thanks for sharing and for the chance to win! Wow, you have been busy!! I love everything you did, especially the Grinch! Love that fur(snow) trim on the roofs. Wow, I love all of the things you made - especially Grinch. Thank you for sharing them. I just love the grinch and your pillow is super cute. The pillow is adorable! Starting a row robin... Maybe I should do a row of houses!! I love, love, love your pillow. I hadn't thought of what I would do with Grinch fabric if I bought some but now I know. The Grinch....Great pillow. The pillow and quilt will be perfect for Christmas and 4 busy boys. Thanks so much for your inspiration. Super sweet pillows and coin purses. Gotta love the Grinch (almost as much as the Ghastlies). Congratulations on your newest Grandson! Isn't being Grandma (Nana in my case) just great? I adore my grandkids. Carol, congrats on the new grandson! Your Grinch pillow and entire collection is awfully fun! Congratulations on the new monkey boy! I love all your Grinchy items but my favorite is the coin purse. You are so creative. It inspires me to make some of those little purses. Darn computer acting up so I am a day late telling you how much I love your pillows...particularly the one using Blitzen...I have two charm packs of it and I can't wait to make a quilt out of it. Congratulations on your addition to the family and thanks for sharing with us. See you on Monday the 26th...that's my day. Have a wonderful Thanksgiving. WOW you have been one busy bee! I love everything....so cute. your cushions are fantastic, must admit; my favorite is the fuzzy cut lane, so beautiful! Congratulations on the newest monkey!! Thanks for sharing all the lovelies. I love your pillow, I grew up watching the Grinch on TV, you have captured the best of him. You are so creative by having all the extras to match. Also love the Snow on the roofs. The pillows are so cute looking I think this would keep me awake while trying to watch a movie all the way through. Cute idea to make with the fabric. The coin purse looks like a very awesome one to carry in your purse. Looks like it would hold a lot of coins too. I love your Grinch cushion, so sweet! And congrats on the grandson! Amazing - I love the truck with the christmas tree! I love the coin purse! Love the Grinch! Love it all!!! I love your Grinch coin purse as well as your pillow. Thank you for a chance at your giveaway. First Congratulations on your grandson. Sound like he getting a wonderful grandmother! Just Love the added fur to the pillow. What Fun! Oh my gosh...that is the cutest darn pillow ever! Love the fuzzy rooftops...I will have to "steal" that from you when I make my own! Love it. We have little girl monkeys in our family! I like the added texture of the fuzzy rooftops. Little ones like to feel textures, especially soft ones. Thanks for the post. The Grinch pillow rocks! LOVE, LOVE, LOVE it! I am finally home from a 16 day road trip and can visit every one of you who shared my day on the hop! yahoo!! I love your post! It is chocked full of Christmas Spirit! ... some of which I truly needed! I think we are going to put up a real tree this year! Can't wait! Hi!!! Wow!!! Love all of it!!! Love the grinch and the grinch purse!!! Love the fuzz!!! Congrats on the new little guy!!!! How fun!!! He will be on that pillow with the other boys sooner than you think!!! Thanks for the fun!!!! Thanks for sharing your great Grinch Christmas projects; they're delightful. Also love your coin purse .. one must have everything match. Happy Holidays! I love your Grinch pillow!! that is adorable. The Grinch pillow is the best. The colors are marvelous. You must have more hours in your days than me.